Edited by Jean Wainwright, with contributions from Louisa Buck, Emily Druiff, Kathy Kubicki, Deborah Robinson and Ralph Rugoff. The book explores a range of Voorsanger’s work, from karaoke performances, kitsch installations, paintings and sculpture, with a particular focus on new work emerging from her ongoing project, The Impostor Series. The text is in the format of an ‘in conversation’ interview with Jean Wainwright. By using humor and parody in The Impostor Series, her work is also able to tackle tough topics including her personal cancer treatment, gender politics, and the discomfort that we can feel as an audience through humor. As a book The Art of Jessica Voorsanger operates on the same plain as the world she is critiquing, the design itself drawing on celebrity annuals, memories of falling in love with David Cassidy, and a childhood spent celebrity-spotting in New York’s Upper West Side. 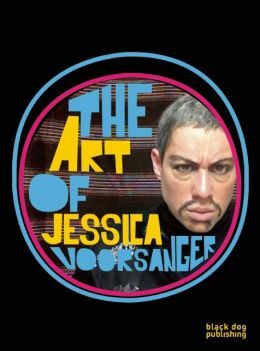 The publication takes on board all of the playfulness, seriousness and vibrance of Voorsanger’s work, contributing to the wide-reaching current discussion in society around celebrity in an engaging way. Although included in several publications, Jessica Voorsanger does not yet have one specific to her work, giving this book particular significance. If you would like the book signed or inscribed to someone, please give us that information when you are placing your order.